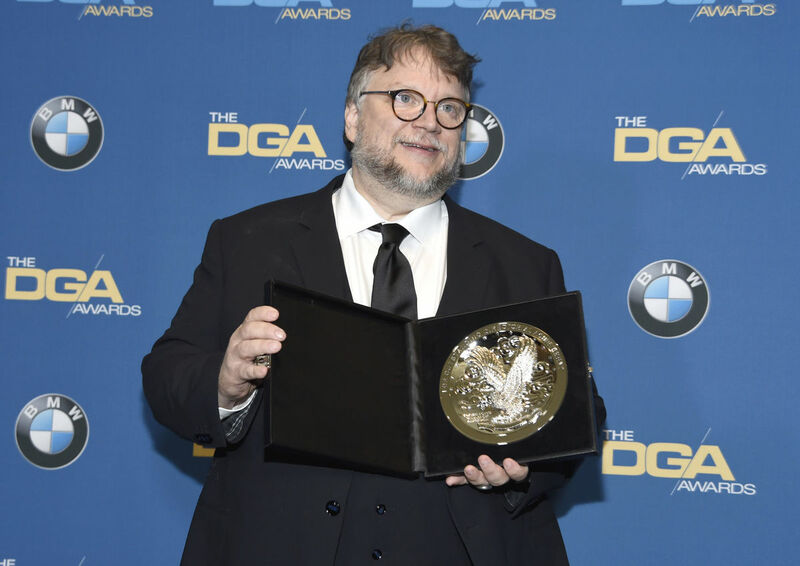 Shape of Water, a romance between a mute woman (Sally Hawkins) and a humanoid fish creature (Doug Jones), has won del Toro yet another award, as he was recognised for his Outstanding Directorial Achievement in Feature Film at last night’s Directors Guild Awards. Every director who has won this award in the past 14 years has gone on to win the corresponding award at the Oscars, save Ben Affleck in 2012. Del Toro has been nominated three times this year, for Best Picture, Best Original Screenplay and Best Director, and has already won at the Golden Globes and Producers Guild Awards. Also nominated for Feature Film were Martin McDonagh (Three Billboards outside Ebbing, Missouri) and Christopher Nolan (Dunkirk), and, unlike at the Oscars, both Greta Gerwig (Lady Bird) and Jordan Peele (Get Out) were nominated for their directorial work, becoming the ninth female and fourth black director respectively to be nominated by the guild. Peele, also the first in history to be nominated in both the feature-director and first-time-director categories, went on to win in the latter. In TV, Reed Morano won for her work on The Handmaid’s Tale, Bethany McCarthy-Miller for hers on Veep, and Jean-Marc Valée for Big Little Lies. Niki Caro also joined the host of victorious female directors at the ceremony for her work on the children’s program, Anne with an E.